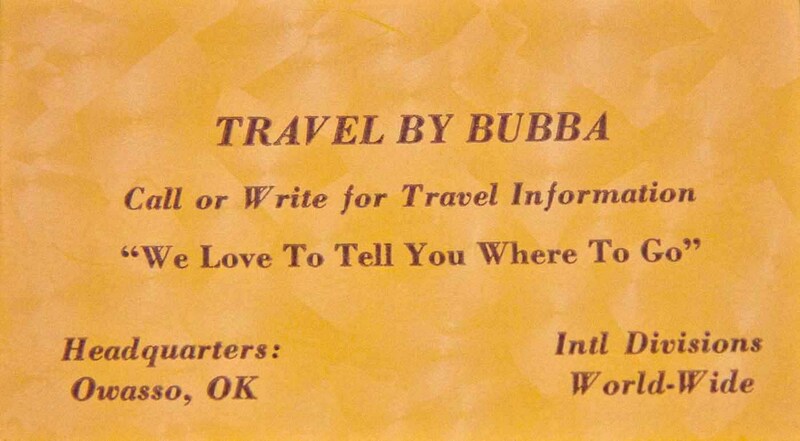 Travel By Bubba: Travel by Bubba custom business cards and stationary generated a massive number of inquiries! Travel by Bubba was founded in suburban Owasso, Oklahoma in the early 1980s while Bob worked on a travel agency automation help desk. 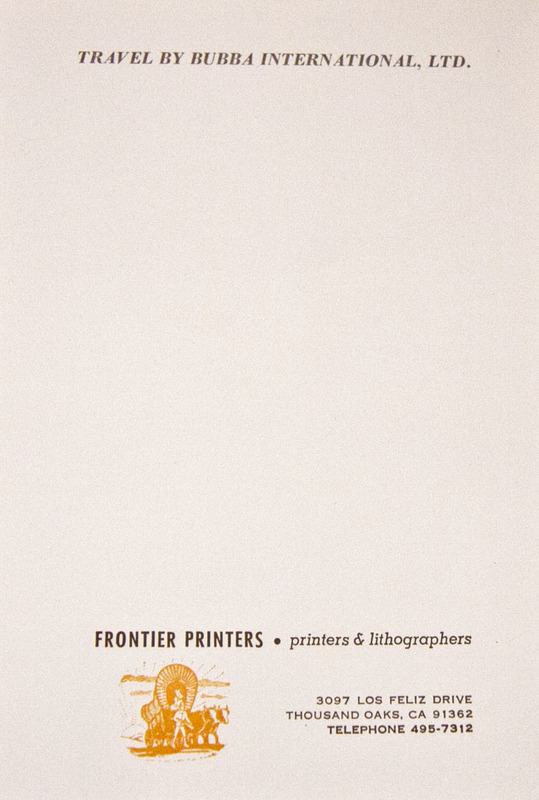 The business expanded rapidly with specialized business cards and stationary. In the late 1980's Travel by Bubba International, Ltd. was established in London and was operated by our esteemed colleague, Vanessa Kelly. Although most travel agencies have shuttered, Travel by Bubba still handles our travel needs and frequently that of family and friends. 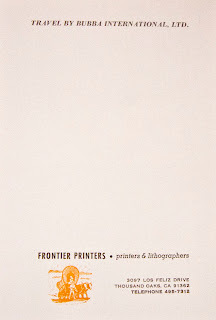 Travel by Bubba custom business cards and stationary generated a massive number of inquiries!